After seeing Teddy's tweet, I did a little playing around in the Files app and discovered that, while Excel and PowerPoint documents accessed in Files will load Quick Look previews and require tapping 'Open in' from the share sheet, the experience is even better with .docx files. 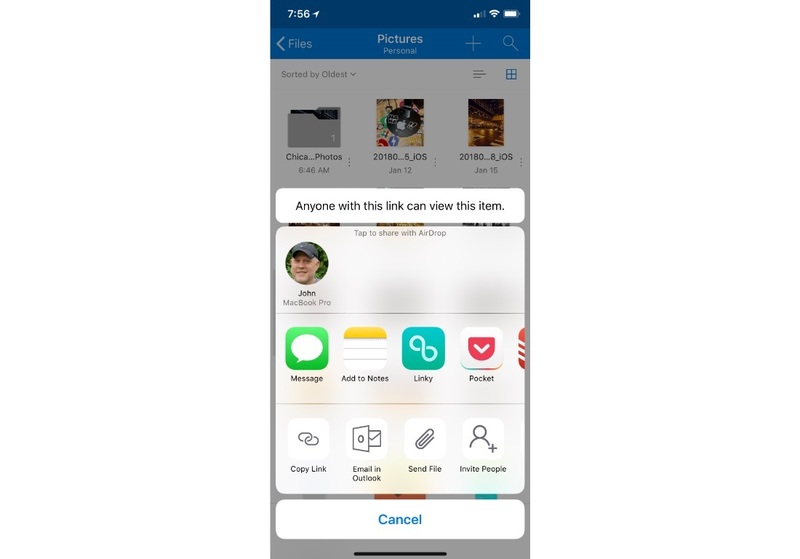 Those Word-associated documents open directly in the Word app with just a single tap from the Files interface – no need to open the share sheet first. It's possible this disparity in behaviors between file types only exists because I view Word documents far more regularly than Excel or PowerPoint files. Perhaps heavy Excel or PowerPoint users will see a different behavior because the Files app has enough data to know which app you want to open certain file types in. It's also possible, though, that the behavior I've seen is true for everyone, and Microsoft simply made a somewhat perplexing design decision. 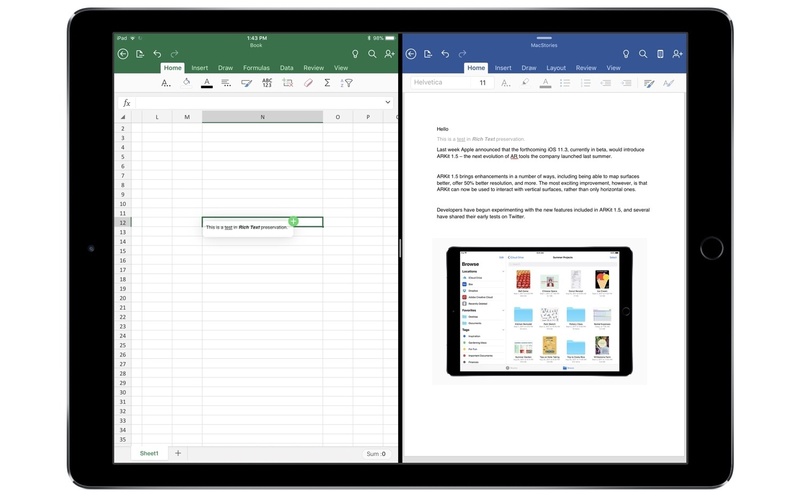 In any case though, whether a Files document opens in its correct app with a single tap, or you use the share sheet and 'Open in' first, this is still a huge improvement for Office users. Previously any documents stored in Files would need to be accessed by going to either Word, Excel, or PowerPoint, tapping the 'More' button in the 'Open' menu, then locating the file from there. 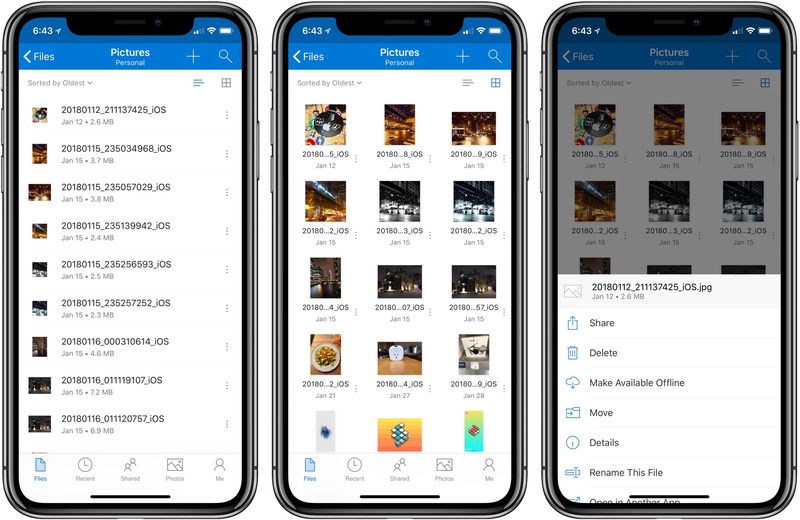 Now, iOS users can go straight to the Files app, locate the appropriate document, and open it directly with only a tap or two. Update: One of the developers working on Office has confirmed my suspicions: the reason Word files open for me with a single tap while Excel and PowerPoint files do not is that I haven't opened those files enough for iOS to know that I would prefer to bypass the share sheet. iOS keeps track of which apps you open documents in, per document type, with the share sheet. When apps support Open in Place, the system can decide to automatically open an app without displaying the share sheet first. In theory, a system where iOS knows what you want every time could be great, but in reality, I sure would like having the option to set default apps per document type. 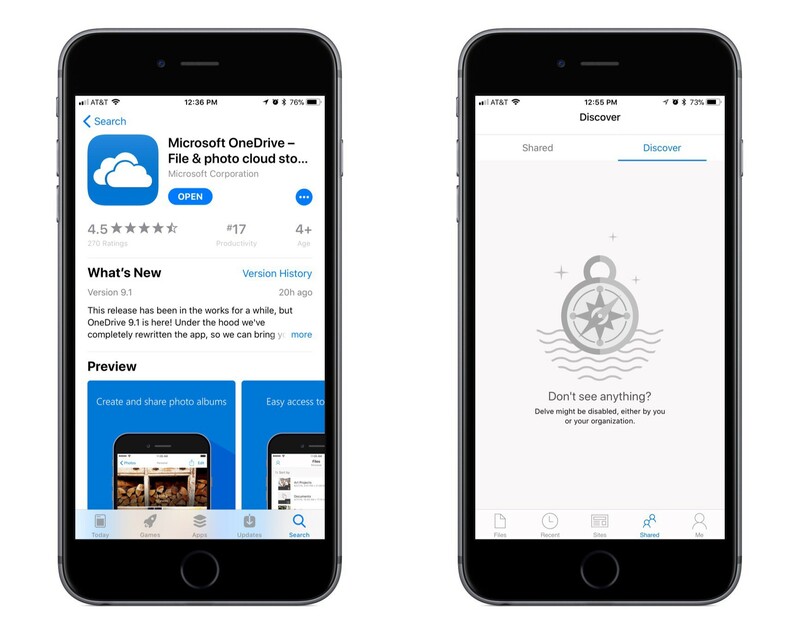 Following the launch of a redesigned Microsoft OneDrive earlier this week that added drag and drop alongside integration with iOS 11's Files app, the popular Office suite of Word, Excel, and PowerPoint has received similarly noteworthy updates by adding real-time collaboration plus the aforementioned drag and drop features. Over the summer, Microsoft introduced a new Skype app for iOS with a multitude of new features that seemed designed to maintain its relevance in a social media-dominated world. At the time, Microsoft also introduced a preview version of the Skype desktop app that incorporated some of the same features. 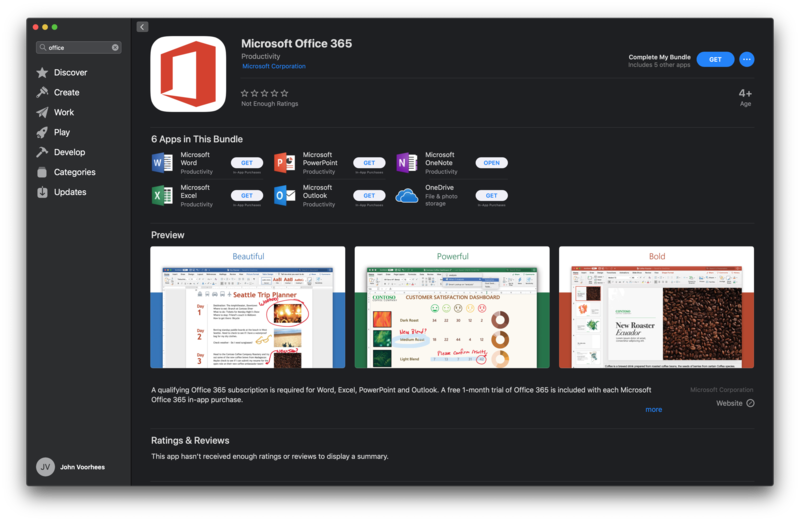 Today, Microsoft announced that the desktop app has exited preview mode and is being rolled out across several platforms. The new Skype desktop app includes a lot of new features, but one of the most fundamental that should be welcome to all users is the unification of messaging across platforms. That means messages you receive through Skype will be available whether you’re using the app on a Mac, iOS, Windows, an Xbox, or another device. 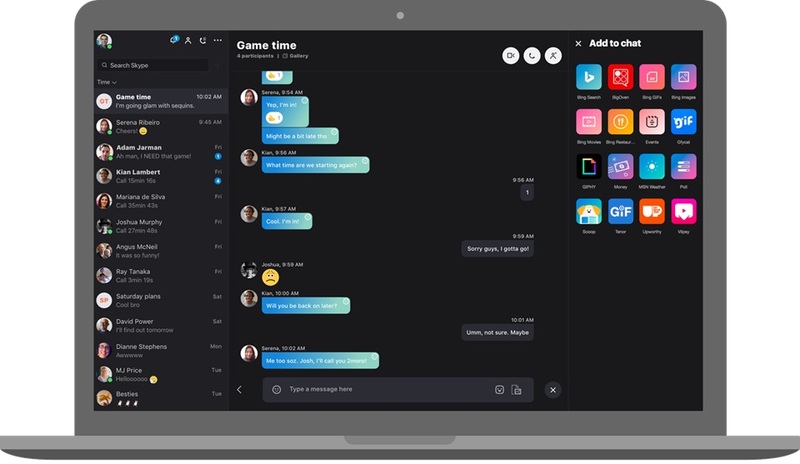 In addition, Skype now includes cloud-based file sharing of up to 300 MB of data, customizable themes, and different ways to organize your chat list. Notifications have also been centralized with reactions to your messages, @mentions in group chats, and instances where you have been quoted available in one place. To jump to the spot in the conversation where the notification appears, just click on it. There’s a chat media gallery where you can access all photos, links, files, and other items sent to you too. Microsoft has added many other bells and whistles. Chat conversations can take advantage of add-ons like event scheduling, sending money to friends and family, searching for GIFs, and more. Video calls and text-based messages can include reactions to let others know your mood, status updates, Twitter-style @mentions, and bots from third parties too. If there was any doubt that Microsoft wants to expand beyond simple voice and video calling, the latest updates to Skype’s apps should put that to rest. The new version of Skype has begun rolling out to users. If you don’t want to wait for the update to show up, you can manually download it from Skype.com now. 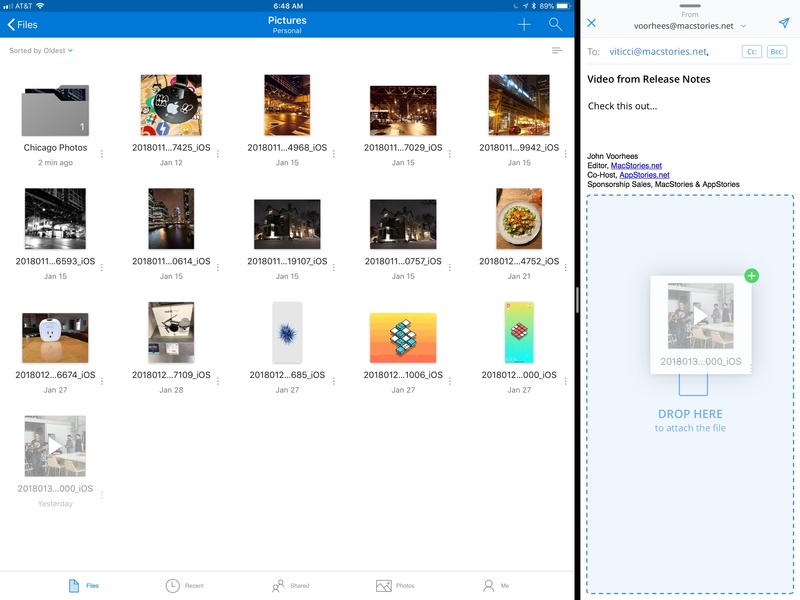 A lot of the changes look very similar to the Outlook for iOS app, with a single-line ribbon and a smaller set of default commands. 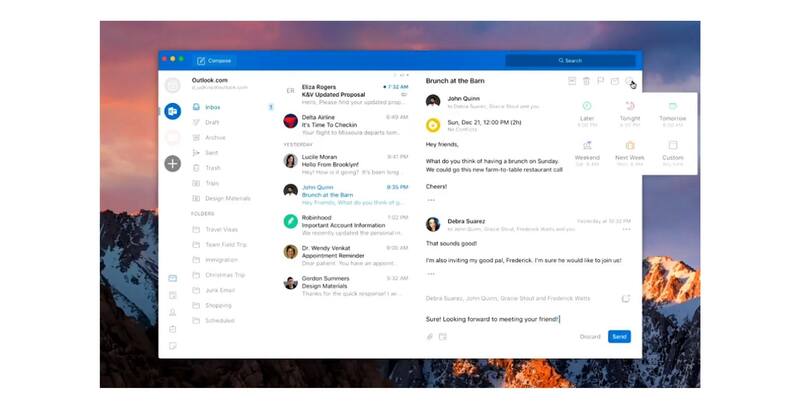 Reducing complexity is one of the key aims of the redesign, to make it easier for new and existing Outlook users to navigate the email app. Outlook for iOS has long been among the top email clients on the mobile platform. It pairs a clean, beautiful interface reminiscent of iOS’ Mail.app with the power user features Apple appears content to ignore. Moving Outlook for Mac away from its traditional desktop roots and further into the modern era looks to be a clear win. The full Ignite session detailing future Outlook changes is available on YouTube. 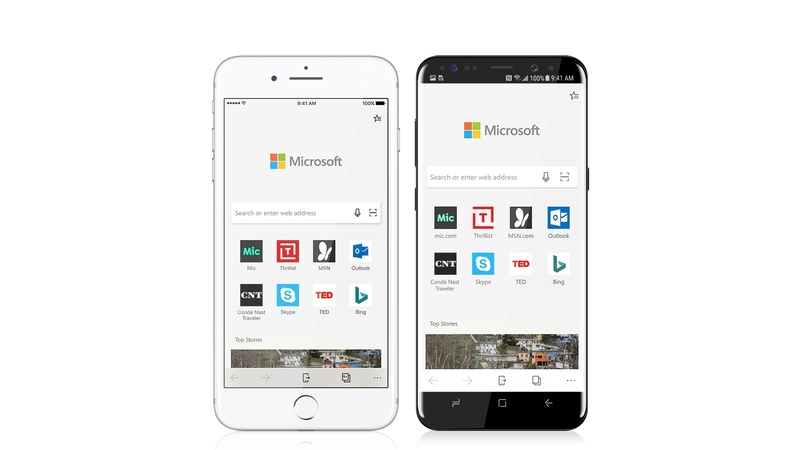 Microsoft Edge for iOS and Android brings familiar features like your Favorites, Reading List, New Tab Page and Reading View across your PC and phone, so, no matter the device, your browsing goes with you. But what makes Microsoft Edge really stand out is the ability to continue on your PC, which enables you to immediately open the page you’re looking at right on your PC—or save it to work on later. A release date for the app is unknown, but users can gain early access to a preview build starting today. The one major caveat is that in order to gain access to the preview version, you have to visit this page from a PC running the latest preview build of Windows 10. Also of note: this initial release is limited to phones only, so iPad users will have to wait until Edge makes its way to tablet platforms.